Eidul Adha is knocking at the door. So I am posting another mouth watering snack. 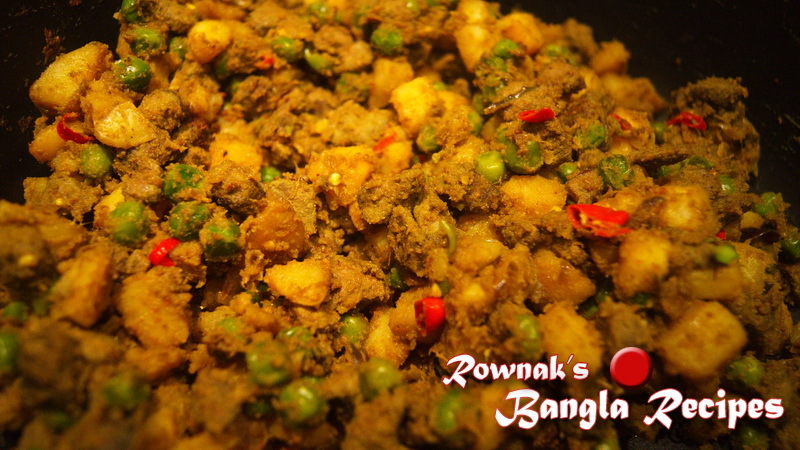 Kolijar Singara / Liver Samosa is made with beef liver (which is very rich in Iron), instead of beef liver you can use lamb or chicken liver or diced red meat as per your taste. I like to add green peas or carrots for extra flavour and nutrition. Please don’t forget to join my facebook group or like my facebook page to keep in touch with me .Thanks. Also needs flour to roll; black salt and sliced for serve. 2. Heat the frying pan and pour the oil in the pan. Add onion, when the onion is transparent; add all spices (except green chillies and cumin) and salt to taste. Stir them until oil is separated and add diced liver. Cook 2-3 minutes and stir occasionally. 3. Add diced potato, give a stir and cook till it potato is tender. Add peas and green chillies, stir and cook 2 minutes. 4. Add cumin powder and remove from heat and let it cools down. 5. Take the dough and knead it for 1-2 minutes and divide into 6 equal balls. 6. Roll each dough into an oval shape (6.5″ long and 5″ wide) and cut each oval in half. 7. Take half of oval and make a cone and seal the edges with water. 8. Fill the cone with the potato stuffing and seal the edge with water again. It will look like a triangle shape(check the video for fold) . Repeat the process, you will have 12 singaras altogether. 10. Fry them until crispy and brown. 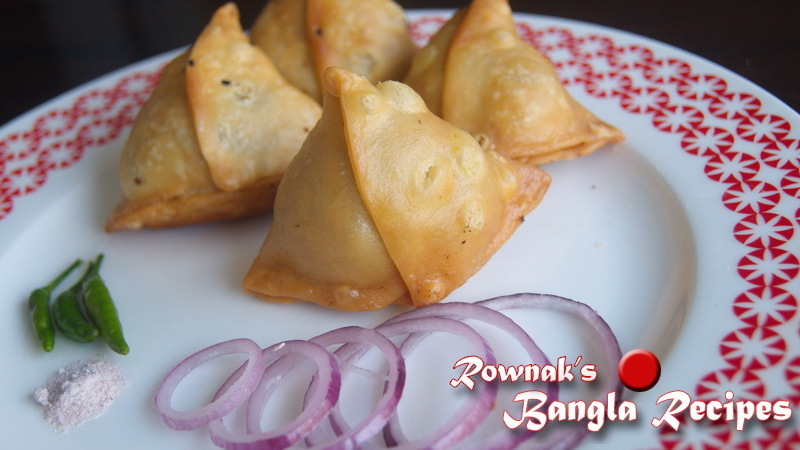 Serve Kolijar Singara / Liver Samosa hot with black salt and sliced onion. Enjoy. 1. Resting the dough is very important. 2. Add peas in the end to keep colour. 3. Seal the edge carefully. 4. Fry on low medium heat. atto easy !! i should try !